The new season of 'Black-ish' is in full swing and Tracee Ellis Ross stopped by the 'Ellen Show' to discuss the show and more. The actress posted an image of her look on her instagram page. 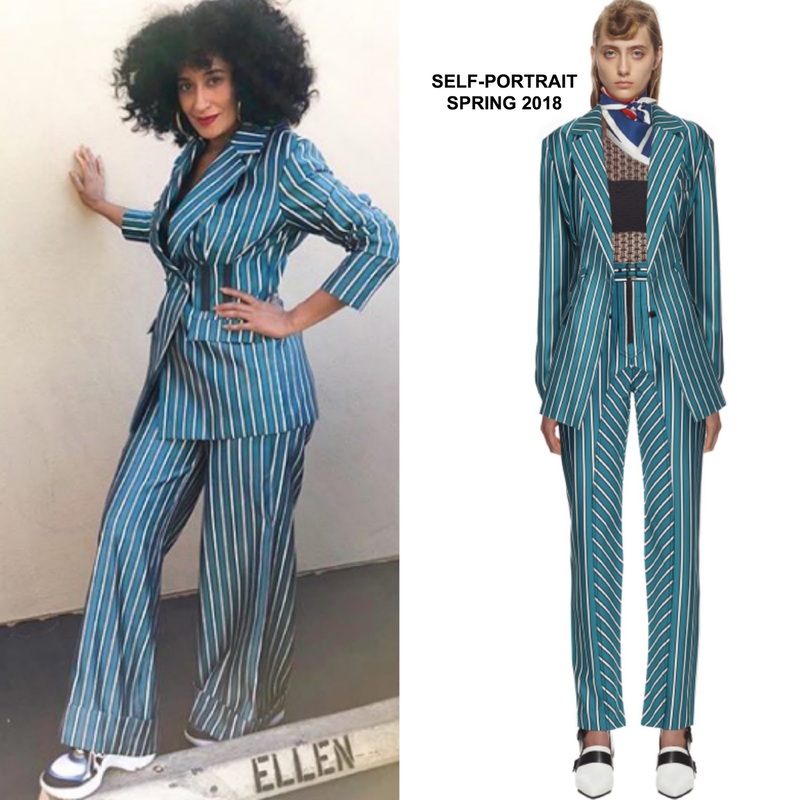 She posed for the gram wearing a SELF-PORTRAIT SPRING 2018 teal & white stripe blazer with the matching cuff leg trousers. I like this playful striped look on Tracee as it is on tune with her style. Instead of wearing sandals or pumps, Tracee rocked LOUIS VUITTON SPRING 2018 sneakers. She finished up with her signature natural curls, red lips and gold hoops. Are you feeling Tracee's instagram style?